Cancale is a picturesque fishing port famous for its oysters. At the seaside you can find a pleasant coastal path which allows a circular walk from the town to the Pointe du Grouin with views across the bay towards Mont Saint-Michel. The rocky coastline offers beautiful sandy beaches. 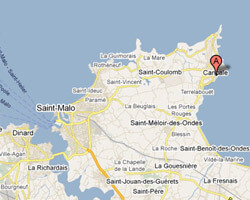 In Cancale enjoy a seaview holiday rental. Apartment in the marina. Terrace. Les Hauts de la Houle Lagrange Prestige offers fully-furnished apartments T2 30m2. It features an semi-covered outdoor swimming pool with a whirl pool and bicycle rental. Les Hauts de la Houle Lagrange Prestige offers fully-furnished cottages 60m2. It features an semi-covered outdoor swimming pool with a whirl pool and bicycle rental. high end Apartment renovated in 2007 . Living room 32sq. m with opened fitted kitchen. On the port with sea view. Cottages for up to 5 adults with free Wi-Fi access located 5-minute walk from Cancale harbor. Heated, covered shared swimming pool. Views of Mont St Michel Bay. Les Rimains,5 rooms House 160 m2. Terrace, garden with outdoor furniture, deck chairs and barbecue. Nice view of the sea and the rocky coast. 4 Bedroom(s), 4 double bed(s). Cottages Vue Mer du Vauhariot are located 12 km from St Malo. Beautiful view over mont St Michel bay. The cottages are set in typical Breton houses. 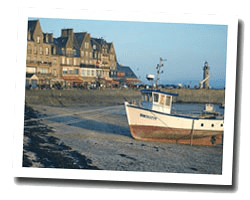 Located on the beachfront in Cancale, Gite de la Cale de l'Épi is a self-catering accommodation with a view of the sea. The property is 300 metres from Port of Houle.